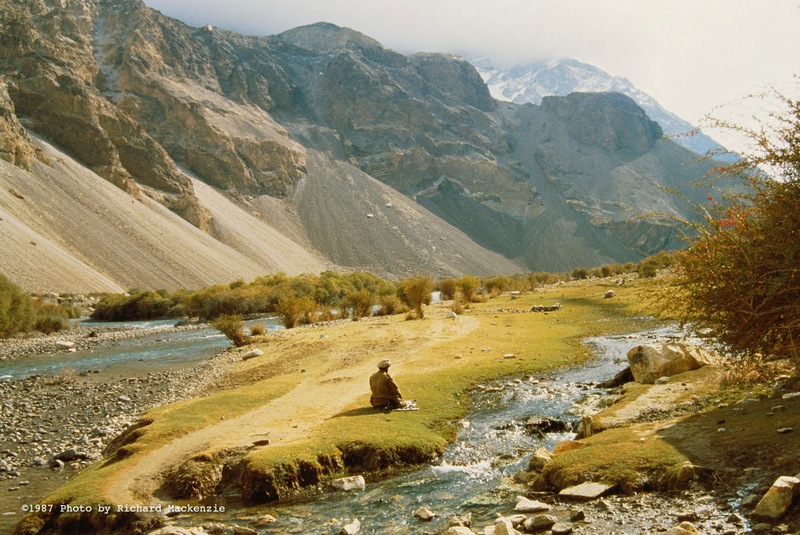 It had been a long journey into the Hindu Kush mountains, starting in the Northwest of Pakistan in the summer of 1987. We began by secretly crossing the border into Afghanistan, trekking through Nuristan and finally making it over half a dozen 10,000-foot mountains to the Panjshir Valley. There, I discovered that the man I had come to interview, Ahmad Shah Massoud, wasn’t home. He was somewhere up north, another mountain pass or two away. No problem, they said, I could make it there in a day or so. I quickly learned time was a relative matter in Afghanistan, where days turned into weeks, and weeks into months. I eventually got to my new destination and settled down in a small house on the edge of a river, deep in the mountains. I shared a small room day and night with a dozen or so mujahideen resistance fighters. They were gathered to fight the Soviet Union’s invasion and the Communist regime that ruled their country. Late one night, my roommates said we had to leave immediately and we made a midnight march deeper into the mountains, stopping in the pre-dawn hours at what might optimistically be called a village. In the days to come, I never counted more than three houses there. Someone said the name of the place was Pinuee. We slept in what could be called a barn. I was about to doze off a night or so later when there was hustle and bustle outside the door. A lone man entered and the others in the room jumped to their feet. It was then I was introduced to Ahmad Shah Massoud. He smiled and I got the impression he was welcoming me. Despite his charm and obvious charisma, we had a problem. I spoke no Dari other than the words I had learned from my horseman along the way. And Massoud spoke virtually no English. Not to worry, one mujahid told me the next morning. One of Massoud’s confidantes was on his way and he spoke good English. He would be my tarjamon, my translator. The young man did arrive and came to my room to say hello. He was softly spoken with a firm but gentle handshake. He asked about my health on the journey and inquired if I needed anything. I told him my main need was to interview Massoud. That was not a problem, the young man said. But, he added, I would need to write down all my questions and give them to him in advance. A cynical journalist at heart, I didn’t like the sound of this. Back in America, that was the type of thing that duplicitous American politicians requested. And I protested. Seeing my discomfort at what he was asking, my newfound friend, my tarjamon, assured me that he just wanted to be careful that he got my questions correct. I taped the interview and, on reflection, it did not seem that Massoud had previewed or rehearsed his answers. It wasn’t until much later that I understood what had transpired, that the translator had taken my list of questions and a dictionary with him — and sat up half the next night, working on my questions, to make certain that he got all the words correct. Simply, the young man — who was known then, and now, as Dr. Abdullah — did not yet truly speak that much English. 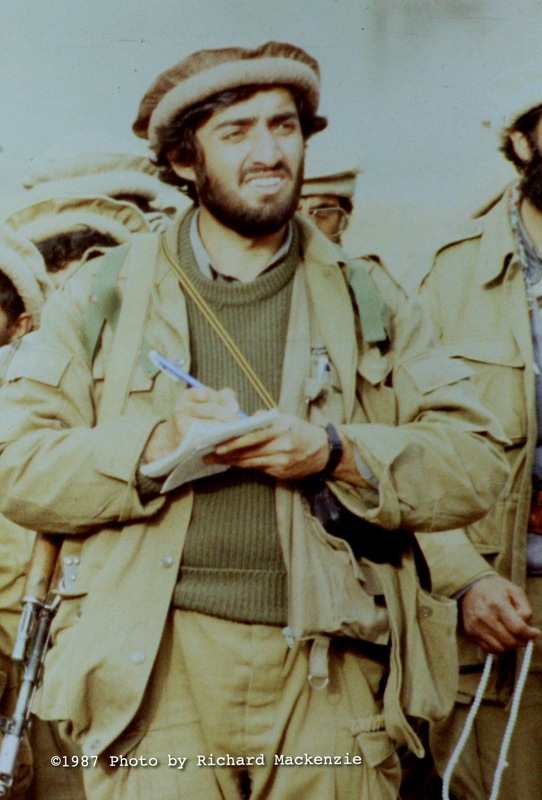 It would be a decade or so before he learned, before he would travel the world as Afghanistan’s Foreign Minister or later be a candidate for President. 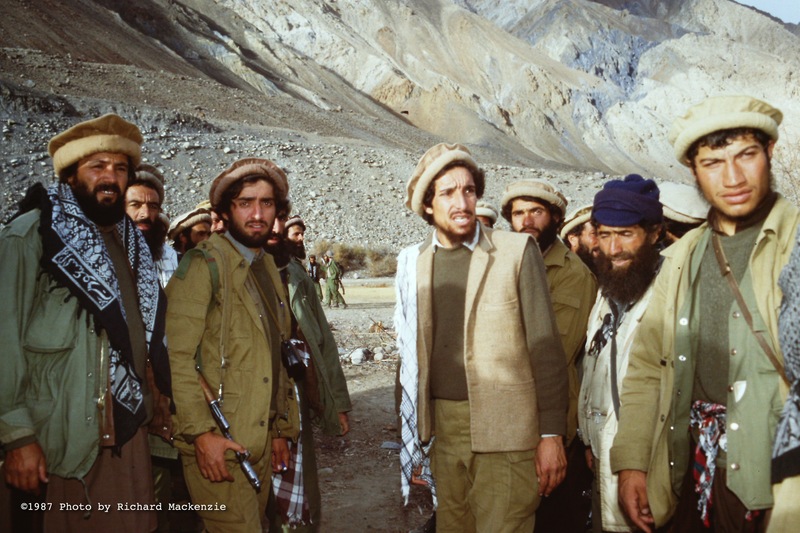 Ahmad Shah Massoud (center right), with Dr. Abdullah (center left) and other key commanders, aides and bodyguards in Northern Afghanistan in 1987. I read your topic, it was very intetesting. Also, the pictures look great and new to me. Perhaps, you just published them in your topic. Wish yoy all the best. This is great and Decades flying by as days, you’re a great Journalist like Chrestopher de Panfely and other great gentlemen of the time who raised and reflect our freedom voices to the world, th k you for writing about Dr. Abdullah, he is a great man and true friend of Ahmadm Shah Massoud always thinking about Afghanistan unity, economic, peace and an Afghamistan free from terror and corrupt. I am an Afghan and know who were the heroes of Afghan nation, you westerns have mad lions from these foxes, they have no manner, nor as Mujahid, nether as Politicians. they are simply warlords, fighting for Power. Nothing more than that. Rahim !!! it seems that you are one of those Communist party member or you are ISI agent. Thank you for your article and most of all thank you for covering Afghanistan when very few people covered Afghanistan. I appreciate your photos as we have have never seen these photos of my maternal uncle (Dr. AA). He just as easily could have joined us in the US and like many of his fellow classmates and Doctors from Afghanistan lived a comfortable life in the west as a Doctor but instead chose to serve his people and endure many hardships. Please give my kind regards to all your family. If you drop me an email, I can privately send you some other pics from that selection. I sent Dr Abdullah a nice batch of these photos this morning. Thank you Mr. Mackenzie! I sent yourself my email hoping you have recieved it. I look forward to your photos as well as your future stories to come. Why Mujahideen have not been supported and trusted by US as much they were in 18s ???? It takes a man with the experience, patience and statesmanship of Abdullah to save Afghanistan. Thank you for writing about Dr.Abdullah. He is without doubt a great son of this land. Thank you for this memorable and emotional article and pictures. For me, You like my very close friend. Christophe de Ponfily and a few other western journalists, you was very precious for our Fredom Fighters because you was a courageous and good messengers to the Free World at that period of our very hard time and History. My compliments for the good quality pictures. Unfortunately the key point missed from articles like this are that these group of armed insurgents actually took arms much before the soviet invasion! They are not the heroes who took arms against soviets to defend the country, they were bandits and extremists who took up arms against Daud Khan’s secular government nurtured by the intelligence agency of Pakistan. They showed their true colors by destroying the country in the civil war after soviet withdrawal. Presently empowered by the money which came in with US invasion they are nothing but organized mafia, armed warlords who are the main reason for the corruption in the country. People want them gone, there was a reason people welcomed Taliban in the mid ’90s. Viva Ahmad Shah Massoud ! Thanks a lot for publishing these interesting pictures. They are valuable for all of us. well written passage and some interesting pictures from the past. It is very interesting I really proud that we have Dr Abdullah Abdullah now in Afghanistan we hope him more success! Dear Sir, Thank you so much for this article. It brings back many memories of that time. Your work is appreciated. Thank you for reporting on Afghanistan and giving its people a voice and thank you to those in Afghanistan for giving sound that voice. You have enriched our lives even though we may have never met. Khoda hafez! Great features! It is true that Afghans are brave people and struggled hardly and honestly for the freedom. But the question is “Did they struggle for the Overcome of USA?” Or did USA play agame for thier aims in the matter of unipolarity? Very reasonable questions. I will be addressing this very issue in an upcomingBlog in the next few weeks. We appreciate the American Tax dollars aided to our people during the Russians Invasion in 1980s. Since then we feel Americans as our good and loyal friends. After 9/11. As the US started global war on terror this was the time that many Gentlemen in Afghanistan joined the Coalition forces to fight terror. One of them is me as well. Most of the people of Afghanistan believed when the Russians leave Afghanistan then they will have a peaceful and prosperous Afghanistan. This hope was gone after the Mujaheddin started factional war. Then most worst and dangerous thing happened, It was the creation of Taliban Malissa. In 2002 in freedom time a new hope was found that We will achieve peace eventually. Still the situation continues we hope that peace will come to Afghanistan and the rest of the world. Also please mention some stories of the Pashtoons/ Pattans/ Afghans who gave their sacrifice for peace and Global freedom. Post some pictures of those Commanders Tribal fighters/Mujaheddin that no one any longer mention them. please ignore some extremist people comments who are against tajiks and northern alliance these are sold out people . Every son of this land is a National hero, we proud on those who lost their loved ones in war against Russia. every Afghan has suffered from that bloody war and are suffering until today. If Abdullah as good person as you think? Then he most have as sample life as he had 30 years ago, Mujahid will never go to beauti parlor and paint his face by Girls. A picture taken during so called Mujahideen era can not make a person hero or condidate for Presidency. if Jihad helps a person to buy cloths worth of 10000 USD than we all should wear those. It was a good cortical actually, and thank you for sharing these wonderful pictures. They were few of the Mujahidin leaders, but unfortunately nothing can be found in the articles about the great Mujahidin heros of the South, and some of the western part of the country. From south, I can name such as Chat Akhundzada, Mula Naqib Akhundzada, and some others. Perhaps the main cause for not interviewing the southern leaders was the heavy war that continued between the Russians and those Mujahindin leader and most of the international Journalists could not even plan to go there. Any how it was good to learn about our Mujahidin leaders. hey man you are truly lucky to have personally met those great men..